Booknotes: Two New Australian Novels: One Excellent, One a Failure. Two New Australian Novels: One Excellent, One a Failure. So I approached his just published Forever Young with high expectations, despite knowing that it was not another in his T.S.Eliot series. Unfortunately I was badly let down. The novel is the fifth in Carroll's 'Glenroy' series about the lives of ordinary Australians in ordinary suburban Melbourne. You don't have to have read the previous four to fully appreciate this one, as it includes so many reflections and memories of those earlier times and events that flesh out the characters and place them in context. The setting is 1977, the year that Whitlam, for the second time, lost the election to Fraser, and then retired from politics altogether. This is presented as a 'moving on' for the country, a loss of its youth, a loss of the 'Mountain' for young people, a government that belonged to them. The problem with the novel, quite frankly, is that it's boring. Carroll never succeeds in breaking through the banality and ordinariness of his theme of lost youth and idealism, and the moving on and settling and never being able to return. 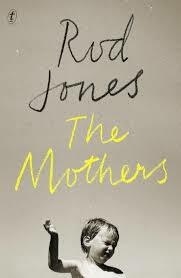 And his writing style, previously and constantly praised by critics as being 'unfailingly assured, lyrical, poised' (Debra Adelaide) and 'astonishingly assured' (James Bradley), fundamentally lets him down this time. His habit of constantly repeating phrases becomes tiresome in the extreme. It feels as if he's got his boot on your throat and is pressing down harder. The same phrases are on an endless loop, para after para. What is meant to be a ruminative reiteration simply amplifies the banality of the theme. For the fact is this book is about nothing much at all. Young people growing old and, er, changing - moving on, escaping, discovering, making mistakes. Carroll brings to this familiar dynamic a leaden sensibility. Thankfully there are moments of genuine narrative tension and genuinely good writing. In the main, though, they are overwhelmingly buried. 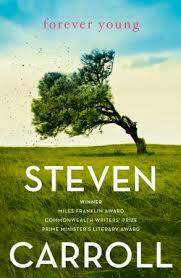 Which makes this novel very hard to recommend, and will deny it the success Steven Carroll otherwise deserves.